Happy Friday, and happy last day of July! 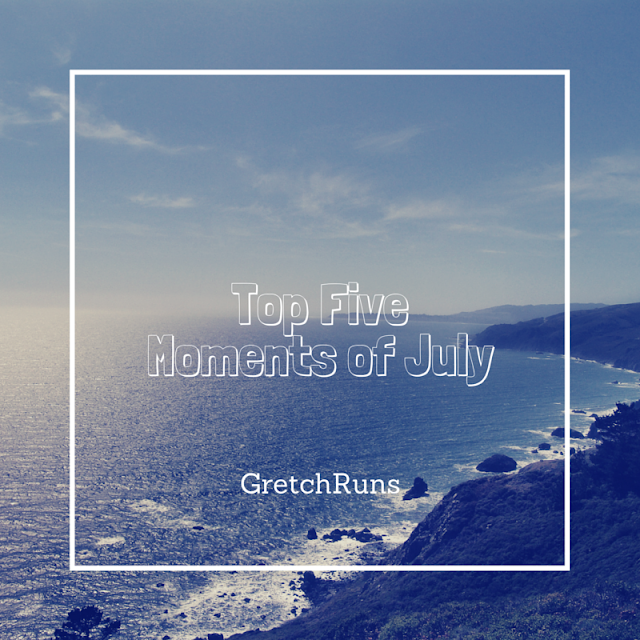 This was such a great and fun month, so I decided to share my top five moments! I'm excited for August and to start racing again, as well as (hopefully) some cooler fall weather starting soon. Without any further adieu, I hope you'll enjoy taking a look back at my favorite moments of the month (along with corresponding blog posts if you want to read more). Please share your top moments of the month! This was such a fun weekend! Selma had a blast and the lake and got to swim, and Dan and I also had a ton of fun on the boat, jet ski and kayaks. I would love to live in an area like that some day! It was so much fun to spend time with friends and paint a cute picture of Selma! We also got to enjoy a great bottle of wine, so all around it was a really fun evening. I still recommend trying a class out if you're looking for a fun date night or girls-night-out! One of the biggest changes this month has been the new addition of my bike! I'm still not 100% confident in my abilities, but I've gotten out multiple times each week and have really enjoyed it. I can't wait to start going on longer rides and eventually signing up for my first tri! Dan and I have been such big fans of Pentatonix every since they were on the Sing Off, so this was an amazing opportunity to see them perform live! They sounded even better in person, and we had a great time at the concert. A little bit of ran couldn't ruin our experience! I didn't mention this in my post on Monday, but this weekend my family got together for a cookout at my grandparents' house! It was so much fun and we had some amazing food and drinks. I wish that I got some pictures, but we were having too much fun to worry about that! (The only one I managed to take was of the huge moth above that Dan saved and called Gary.) Definitely a highlight of the month for me. This group was on America's Got Talent last year, and I fell in love with their music. The group consists of a harpist, cellist, pianist, and vocalist. Each member is so talented, and they make the most gorgeous music! I recently found their album on Amazon Music (which completely made my day) and this is my favorite song of theirs! One of our songs for Group Centergy this release is an old favorite of mine! I love the lyrics and like the slightly country/pop feel to the song. I had no idea that O.A.R. sang the song, but now it's on my running mix! This song is from the Pitch Perfect 2 soundtrack (which I still haven't seen!) and I love it! It's a pretty song, and Jessie J has such a great, dynamic voice. This is a really catchy song that reminds me of Fight Song by Rachel Platten. When I first heard this song years ago, it quickly became a favorite. I completely forgot about it until the So You Think You Can Dance 10th anniversary show, where Hok and Jaimie performed one of the BEST routines of all time- Hummingbird and Flower. Best way to experience the song..beautiful dance with beautiful music. For some reason, I have a strange fascination with finding cool remixes to the original Carmen song. Another one of my favorite versions is called Carmen Fantasie by David Garrett. Both are great songs to listen to, and a good addition to your running mix! Do you have anything exciting planned for August? Hi everyone! Sorry for not posting yesterday, but my actual job and real life have been a bit hectic, and I didn't want to throw up a post just for the sake of having one. I know you all understand, so I'll just move on to today's post! I'm joining in a bit late on a summer reading challenge with the Blonder Side of Life! One of my main goals this year has been to read more, and thanks to my Kindle I have been a reading addict! 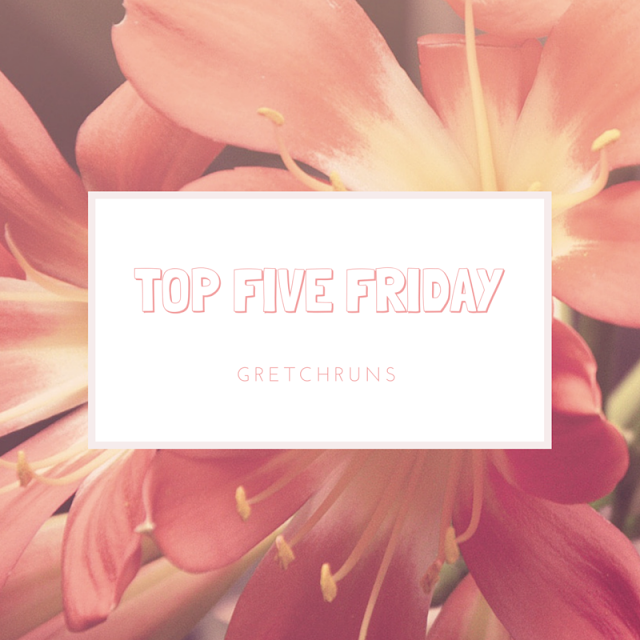 Today I'll be sharing the books that I read in July along with a mini review. 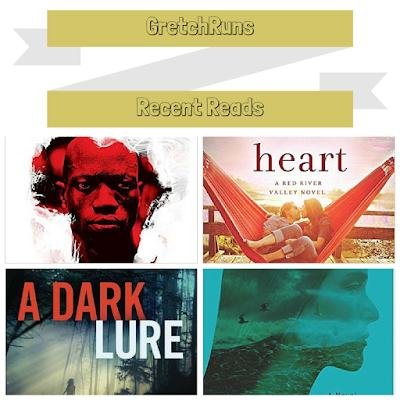 I hope you enjoy, and let me know what you've been reading! Make sure you also check out the Thinking Out Loud linkup! I knew some who chose to feel sorry for themselves, who complained constantly about their lot in life. What is the point of such complaining? After all the whining and complaining is over, you still live in a refugee camp. All the complaining in the world will not make your life any better. Instead, you must choose to make the best of whatever the situation in which you find yourself, even in a place like Kakuma. Do yourself a favor and pick up this book! 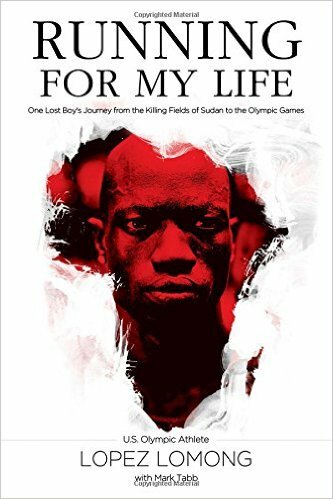 It's a really easy read, and portions of the proceeds from the book go to Lomong's foundation, 4 South Sudan. 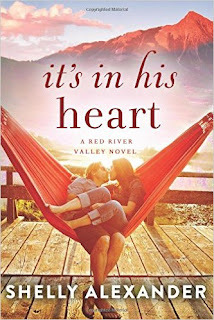 If you're looking for an easy read for the summer and like romance novels, this is a decent pick. I finished it really quickly and enjoyed the story line and the characters. It had the typical young-adult romance twists and turns, so it wasn't anything particularly special or interesting. I loved this book, which combined thriller and romance (my favorite!). 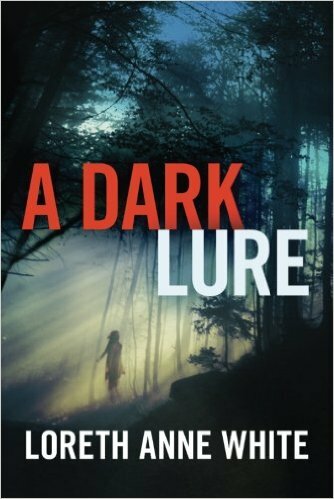 The main character is a woman who was abducted and tortured, then eventually escaped. 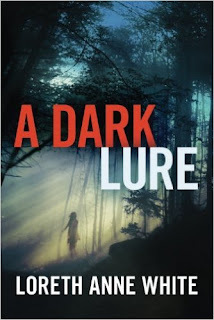 She changed her identity and ended up working at a remote ranch in Canada, where her kidnapper finds her years later. 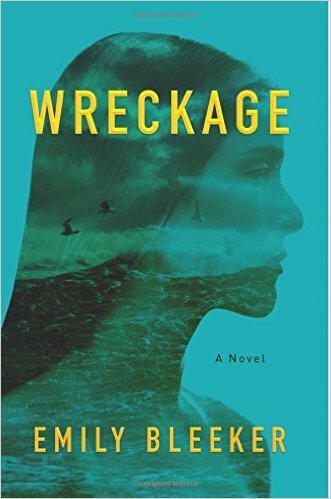 The book is an easy read with lots of action, and isn't overly graphic like some books in this genre can be (hello, Gone Girl!). Highly recommend! I just finished this book, and could not put it down! The story is told from two points of view and follows two timelines. One takes place in the past, when the two main characters survived a plane crash in the South Pacific. The second timeline is present day, when they are each being interviewed about their life stranded on an island. 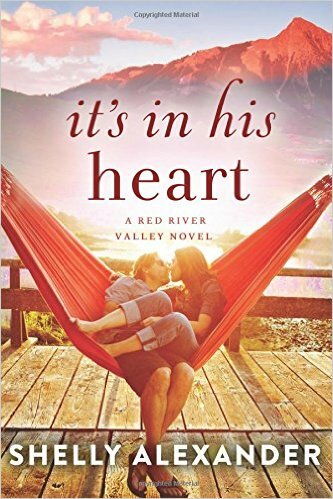 It was a great read with lots of twists, turns, heartbreak and a surprise ending. Has any book ever affected your outlook on life? Hi everyone! Happy Tuesday! 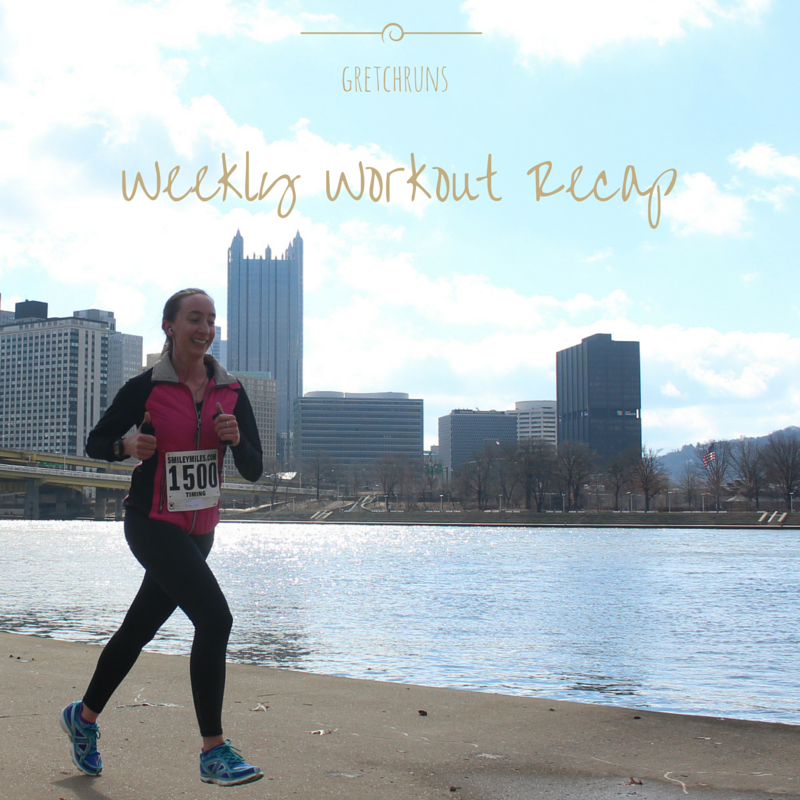 For today's Tuesdays on the Run linkup, I'll be talking about some fun races that I have coming up. As always, you can keep up-to-date on my race schedule by checking out my Races page, but I thought it would be useful to go in-depth with four races. I always love to hear about people's goals and training plans for races, so I wanted to share mine today! This is a local race that I have never done before, but have always heard good things about. It's supposed to be a tough, hilly course (my favorite!) so I think I could do well in this race. Goal: 23:59. My fastest 5k of the year was the Riverview 5k, where I finished in 24:37. That's another hilly race that I didn't plan on "racing", so I think I could beat that time! Training: I based my training on the Hal Higdon Advanced 5k Plan. I started the plan late, so I'm just doing the first four weeks on the plan (with my race being the "5k Test" day in the plan). 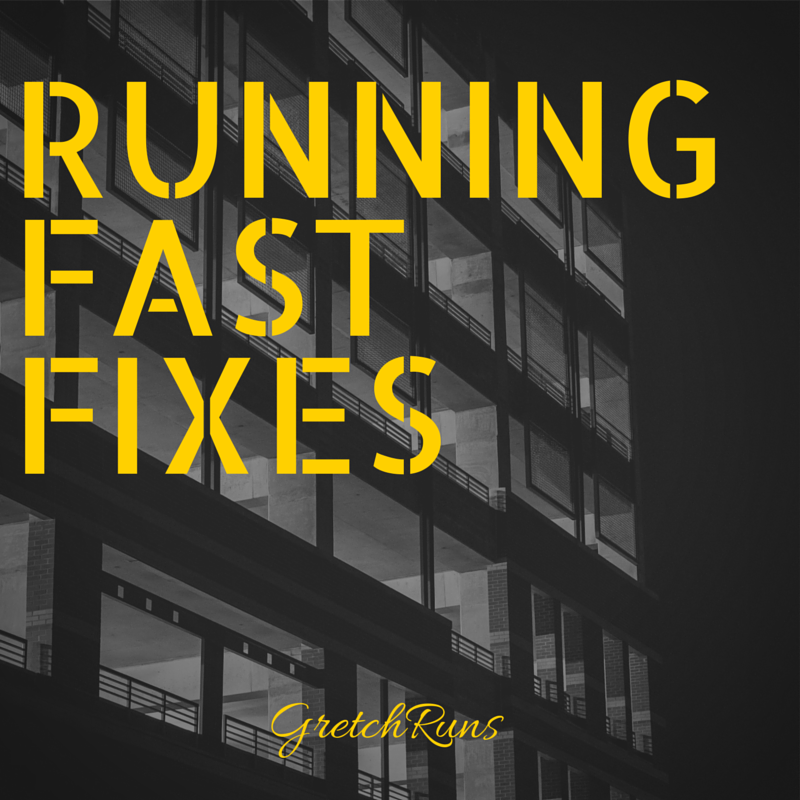 I like how much speed work is in this plan, while also adding a long run on the weekend. This is the first time I've specifically trained for a 5k in years, so I'm interested to see if this makes a difference. I absolutely love this race, and convinced Dan to run with me this year! The course starts out on the streets in Regeant Square, then enters Frick Park for a trail portion. It's a lot of fun and the party afterwards is worth the entry fee alone. Goal: Have fun with Dan. He wants a new PR (29:59) so I'll try to help him reach that. I'm still trying to convince him that running is fun, though, so hopefully he'll enjoy this race as much as I do! Training: I'll continue with the Hal Higdon plan after the Brookline Breeze. This should help to build a nice base for half marathon training! This race is supposed to be absolutely gorgeous! This will be my goal race, and I'm really excited to try again to break 2 hours. There are two trail races that I'll be doing between the Run Around the Square and the half that should serve as good training races as well. Goal: BREAK 2 HOURS!!! My current PR is 2:05:59, so anything under that would also be acceptable. Training: Training starts on August 10, and I'll go more in-depth about my training then! It will be based on a completely different plan than I'm used to running, and is a lot more aggressive. I'm excited for the challenge though! This is my favorite Pittsburgh race! It's one of the newer races, but it's always been organized really well and I love the course. It's always been a lot of fun for me to run, and I'm hoping I improve my time every year! 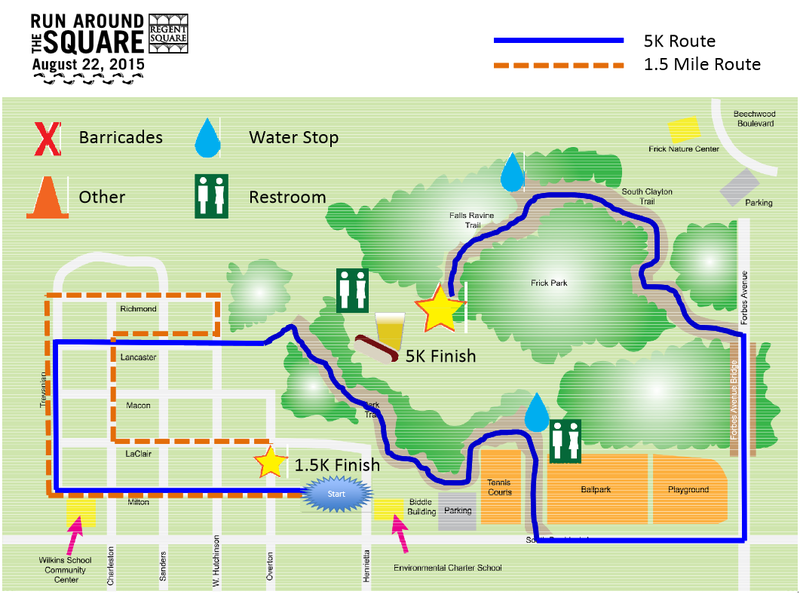 If you're looking for a great fall race- this is the one to do. Goal: 1:25:00. Last year I broke one and a half hours, and I think I can take even more time off this year! I would be thrilled if I could get under 1:20, but that might be too much of a stretch this year! Training: Since this is so close to the half marathon, I'll just do a few runs in between the races. I don't want to get injured by keeping the intensity up, so it will be a long taper between races. If anyone has suggestions on how to handle this I would love to hear it! There is also a free training program for the 10 Miler offered by True Runner! I'm thinking about joining just to stay accountable for two runs during the week. If you want to learn more check out the website! What has been your favorite/most successful training plan? Are you running any of these races? For me, this week was extremely active and busy. I can feel myself getting back in racing shape, which is really exciting for me! I got in a lot of quality runs (mostly in the morning, thankfully) as well as some cross training and biking. Hot, hot day, but the trails were nice and cool. I ran about a mile on hilly trails, with more hills outside of the park. I felt really great so my pace was a little faster than I expected. In the evening, I took out my bike for my first "real" bike ride! I went on a pretty easy route around my apartment that wouldn't involve riding near too many cars, and it was so much fun. I headed to the track for my first speed workout in months! It was already humid and in the mid 70's when I left around 5AM, so I was really happy to have the workout done before work. 1 mile warmup followed by 8x200 with 200 meter jog in between, and a 1 mile cooldown. My pace during the middle two miles was 7:30. I started this video, and quickly got really bored with it. I wasn't a fan of the instructor, and it seemed really monotonous after a while. Selma was also interrupting my flow a lot, so I decided to stop it early and play with her. It was so gorgeous out in the evening, so I took my bike out for another ride. This time I went on more busy roads and everything was great! For today's Run Club run, we had a scavenger hunt sponsored by Adidas! Dan and I teamed up with two guys who were really fun to work with, and we spent an hour running all over Squirrel Hill, Shadyside and Oakland. We had a list of items to take pictures with, and my favorite one was walking a dog! At Schenley Plaza we saw a little husky puppy and the lady was so nice and just handed over the leash. It made my night! I also got to try out the Adidas Ultra Boost shoes, which were nice and comfortable, but didn't have enough support for me. It was my first "bike commute"! I went to the Humane Society after work to walk some dogs, and ended up getting home right before my gym class started. I had no choice but to ride my bike there to get to the class on time, and it was fun! I'll definitely be doing this most days..not only is it much faster but also a lot more fun than walking. Class was great and tough. I was super sore in my shoulders and triceps the next day! It was supposed to be a rest day, but I had to get out on my bike! I took a ride over to Frick Park and walked around on the trails for a bit, then biked back. Perfect way to spend my lunch break! On my schedule for the day was "4 fast miles", so I was lucky to start my run with the True Runner Run Club with a really fast girl. She recently moved to Pittsburgh, which is probably why she stuck with me (she BQ'ed on her first attempt so this was probably super slow for her!) but to me this was a great run! Ran downtown for Open Streets! It was already hot and humid out, but I felt great! I was surprised that my legs felt full of energy and not sour at all after the tough run yesterday. Great run all around! My first class at Open Streets was Total Body Fitness! It was super intense - 2 strength exercises and 1 cardio exercise for each body area (upper body, lower body, abs). First round was 1 minute per exercise, second round was the same exercise for 30 seconds each. We did about 8 total rounds I believe, and at the end I was exhausted! Tough workout. My last class was yoga. I was already really tired, so I took it easy with lots of child poses. It was still a great workout and there were some much-needed stretches in there. Open Streets was a ton of fun and it was great to see so many people out on bikes and enjoying the beautiful day in Pittsburgh! What kind of cross training do you like to do? Any other bikers out there? What tips do you have for getting more comfortable? I absolutely love doing surveys, and I was so happy when Jamie tagged me to do this one! I loved reading her answers to the questions, and I can't wait to see how everyone else answers. I'll be joining in the Thinking Out Loud fun today as usual- now let's get to the questions! 1.) If you weren’t happy with yesterday, what would you do to change it? Honestly, yesterday was a great day! I got in all of my workouts and got to work from home, plus had some amazing food. You can read about my day here, but there's not much I would change about it to be honest! Maybe if Dan was home all day that would make it better. Dan + Selma..what more could I need?! 2.) What is your favorite book? I've read a lot of books in my life, and I really can't think of any that stick out to me as a favorite. I'm currently reading Lopez Lomong's autobiography and I can honestly say it's the first book that has impacted my life and how I see things. I'll be dedicating a post to the book because it's so incredible. I also tweeted about it, and Lopez responded which was cool! 3.) What has been your biggest success and your biggest challenge? Biggest Success: Making the Blue Band my freshman year! I can't imagine my life if I never joined. Not only did I meet the best people who are still great friends, but I also met Dan! It's pretty competitive to get in the band, so I still think that it was a fluke that I made it in. Definitely one of my proudest moments. My first game as a member of the Blue Band! Biggest Challenge: Being sensitive. I am not a very emotional person, so it's hard for me to understand other people's emotions and can be really harsh and uncaring. Spending time traveling a new city in a new country, preferably surrounded by water, with Dan and Selma. Great food should be involved too, and the weather should be partly sunny and in the 70s. I wouldn't mind re-living this day! 5.) What is your favorite memory? I guess I should say my favorite memory is from Dan proposing. Whoops! 6.) 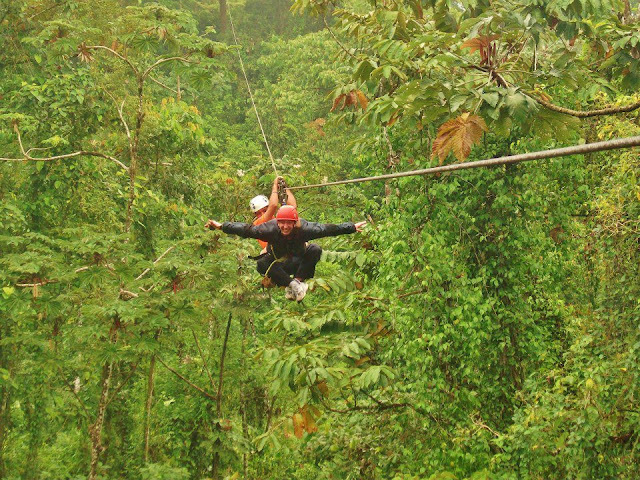 What is the craziest thing you have ever done? 7.) If your life were a movie title, what would it be? 8.) If you could do anything you wanted right now, what would it be? I love to travel and experience new things and cultures, so I would love the opportunity to travel for my job! I've always been a fan of Rick Steves and it would be a dream come true to have travel guides published or a TV series where I just get to travel the world. That would be unbelievable! I also tag YOU! Answer some questions below..I'd love to hear your answers! Today is going to be a bit of a different post, and I'm very excited to share it. I love when other bloggers share a "day in the life" post, and I thought that would be a fun way to join the What I Ate (#WIAW) linkup as well. If you haven't heard of #WIAW, check out this post that explains it. Basically, I'll just be sharing what I ate for an entire day. I hope you enjoy seeing what I do on a typical work day, as well as a full day of eats. Enjoy! 4:45 - Wake up, drink some water, brush my teeth and get changed for running. 5:00 - Leave the apartment and wait for for my Garmin to sync up, and take a Honey Stinger gel. This was my first time trying Fruit Smoothie and it was delicious! 5:10 - Give up on my Garmin and just use it as a stopwatch. Run to the track for my warmup, then run 8x200, with a 200 jog in between. I have a few 5k's coming up in August so I have to get some speed back in my legs! 6:15 - Shower, do the normal getting-ready-for-work thing and say goodbye to Dan. 7:00 - Grab my lunch and head out to catch my bus. I checked my phone right as I was leaving and noticed messages from my work team. Everyone was working from home, so I turned around and changed back into my pajamas. Yay for flexible work arrangements! 7:10 - Turn on Sports Center (thank goodness Fire TV has an ESPN app!) and make some coffee. I'm obsessed with Tim Horton's coffee, but there are no stores in Pittsburgh. Luckily they started selling K-Cups and I'm obsessed with the dark roast! 7:30 - Log in to work. Today was a low-key day. I had to dial in to a few meetings, and work on some reports for some upcoming presentations, but other than that it was an easy day. 9:00 - Starving again, so I had breakfast #2: whole wheat bagel with cream cheese, hard boiled egg, cheese, bacon and dill. I was also thirsty so I got a big glass of milk. 11:00 - I have a meeting during lunch, so I take a break to take a walk to the store. I had to pick up some ingredients for dinner tonight, and also picked up a KeVita Mojita, which was on sale (I also picked up Strawberry Acai Coconut). It was really good and refreshing- perfect for the hot day! 12:45 - Grabbed some lunch during the meeting. I heated up some frozen chicken, topped it with rootbeer barbeque sauce, and added a side of fresh corn salad. I also finished off my bread and butter pickles from Picklesburg. It's probably not healthy to eat a jar of pickles so quickly, but they were soooo good! 4:30 - Snacked on some almonds and drank a ton of water throughout the day, and now work is done! Take Selma out for a walk and do my 10 minute declutter. 5:00 - Tried a new yoga video : Total Body Yoga which I found kind of boring and only lasted 15 minutes. Better than nothing, right? 5:30 - Started to make dinner. Tonight I'm making Belgian food for my monthly challenge. Does anyone else like to drink wine when cooking a big meal? I like to have a glass of red wine and watch something on my iPad- makes cooking so much more fun and relaxing. For dinner, we had Mussels, Frites with Sauce Andalouse and Honey Roasted Belgian Endives and Parsnips. Not exactly summer food, but it tasted good! I also had to bring out the Belgian beers (my favorite)! 8:30 - Ice cream bar time! I also have some coconut water and relax for the rest of the night. Amy Schumer + craft project + foam rolling = perfect end to a busy day. 10:30 - Time for bed!!! I hope you all enjoyed what goes on in my day. Let me know a few highlights of your day so far, or something exciting that happened yesterday!